While Europe and the Americas wind up for their respective continental competitions, it might initially seem a quiet international window for Asian nations. However, a chance of their first friendly internationals with the rest of the world in over a year, competitive Asian Cup preliminaries and further Olympic Games preparation for others, means there’s plenty to look out for over the coming weeks. Martin Lowe takes a look at the key areas to consider across the continent during the international fortnight. While most nations take a break from competitive action until September’s Asian Cup and World Cup Round 3 qualifiers gear up, 10 teams in June will continue their road to Dubai, as they knuckle down to the play-offs for continual Asian Cup qualification. Those 11 sides who finished with the worst records from Round 2 of qualification, which ended in March, will contest for the final 8 places in Round 3. The top ranking 10 will play-off over two legs this international window, while the losers alongside Bhutan will join up to do it all again for the final 3 spots. The drawn out qualification process which had started to generate some grumbles, mainly from the upper echelons siting plenty of one-sided encounters between miss-matched sides, will now dry up for another cycle as the format evens out putting sides together with broadly the same aspirations. The top 12 will compete for Russia 2018, with the majority of the remaining sides to compete for UAE 2019. While these additional rounds of play-off matches seem on the face of it overkill (after all we only see 3 teams exit after two rounds of matches), the experience of at least 4 more matches for some of these nations makes this a worthwhile exercise, considering very few would have been able to even organise one worthwhile friendly during this window. The matches themselves throw up some familiar ties. 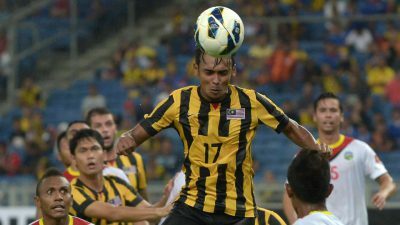 Malaysia and East Timor met in Round 2, the former edging their head-to-head contests, while the same can be said of Tajikistan and Bangladesh, the former having won 5-0 in Dushanbe the last time they met. There’s likely to be many evenly fought contests, Taiwan and Cambodia both finished pointless in Round 2, yet the latter seem to edge the pre-match predictions after friendly victories over Myanmar and Bhutan recently, alongside a promising defensive showing in Round 2 against East Asian powerhouses Japan. A lack of home advantage may swing Yemen’s cause. It’s also a match perceived as a clash of styles. Defensively resolute Yemen lack notable pedigree in front of goal, while opponents Maldives prove lethal against this level of opposition, notably through the red-hot Ali Ashfaq (who does however remain a doubt through injury). The final match is being pointed to as the game to predict a giant killing, as expectation continues to be piled on Stephen Constantine and his Indian national team. Dreadful in Round 2 in a group they should have picked up more in, but in the end losing to Guam and Turkmenistan (twice) proved costly, a similar sort of performance could let in underdogs Laos, who will host the first leg. The two legs will take place within the space of a week, a short turn around in matches which the likes of East Timor and India excelled in in World Cup preliminaries early last year, and while the reward is significant with a distant chance of Asian Cup qualification still possible, those three who do lose out in October have now been given a third chance in the form of a reintroduced “emerging nations” tournament in November to be run along the same the lines of the now defunct AFC Challenge Cup last played in 2014. The three losers will join Nepal, Mongolia, Pakistan and Sri Lanka who have been left in the international football wilderness for more than a year now. Just as we were getting our heads around the coming qualification phases, Kuwait’s extended suspension from FIFA, alongside Indonesia’s recent reconsideration clouds the qualification situation further, but, knowing the AFC, they have undoubtedly got a baffling solution on the horizon. The chance is there for the established Asian nations to really measure themselves against the best in the world, in that regard ahead of 2018 these precious “free” international windows offer the best hope of tangible preparation to avert another poor international showing as was the case in Brazil. For Asian champions Australia this has been the top priority ever since they clinched their Asian Cup title last year, with visits to World champions Germany (successful) and Macedonia (disappointing) at the last opportunity 14 months ago. This time around the Socceroos are packing in three matches over the coming fortnight, firstly away to England as part of the hosts Euro 2016 preparation, before flying home to face a rebuilding Greece side in back-to-back clashes in Sydney and Melbourne. The first test clearly offers a benchmark to see how far Ange Postecoglou’s side has come since that impressive draw in Kaiserslauten, but also how their counter attacking game has come along, given the best team they have played in the last year has been Jordan (who they swept so comfortably aside in March, 5-1). South Korea line up similarly tough encounters, heading to central Europe to face Spain and Czech Republic, two more Euro 2016 qualifiers. These tests will be the first against European opposition since the World Cup, crucially the first with Uli Stielike in charge. This is seen as a beacon of how the Taegurk Warriors have evolved in two years, a full strength squad isn’t backed to only hold the opposition but to inflict some influence, and Stielike’s squad suggests so, with Son Heung-Min being recalled from his March international rest and with Ki Sung-Yueng delaying his military service. Despite having to cancel their earlier friendly with Croatia, Iran will face Macedonia in Austria. Hardly the calibre of opposition desired but a step up from the Iranian Football Federation’s usual standard of opponent which for years discounted Europe. The on-off soap opera between coach Carlos Queiroz and the IFF continues with no final resolution, but it wouldn’t be Iran without any drama would it? Finally to Japan, who are the only one of Asia’s four qualifiers for the last World Cup to opt to stay at home this window but still lineup up some stiff competition in the return of their Kirin Cup. While they won’t be facing any of Europe’s 24 elite who’ll be participating in France, Bulgaria and either Denmark or Bosnia provide a a good test for Halilhodzic’s side. Amongst some of the glamour ties, Thailand’s hosting of their annual King’s Cup puts forward a number of intriguing scenarios. Firstly, the hosts will be tested against three top Asian nations in Syria, Jordan and UAE, two of whom will join them in Round 3 in World Cup qualification. Can they illustrate that around 2 was more than a fluke? Secondly, how will the three West Asian sides cope in unfamiliar surroundings, even when facing each other? Finally, the rebirth of Jordan, is there immediate life after Harry Redknapp brief but turbulent time in charge ahead of their crucial Asian Cup qualifiers? As we reported earlier in the month, the Olympics are within touching distance, and preparations are consequently being ramped up considerably. This last week Japan have impressed and disappointed in equal measure in France’s annual Toulon youth tournament. By the time the weekend rolls around, they are likely to be heading home with plenty to consider. With only one victory from three thus far, they need to beat England on Friday and hope other results go their way if they hope to make the knockout phases. Elsewhere South Korea put their Olympic squad through their paces with friendlies against Nigeria, Honduras and Denmark, all three of whom will also be in Rio come August.